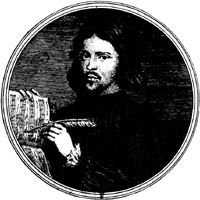 Little is known about the life of Thomas Tallis, although he was one of the most important English composers of sacred music of his time. In 1532 he was employed as an organist for the Benedictine Priory of Dover, and in 1537 he worked for the church of St Mary-at-Hill in London, again probably playing the organ. He may have moved to Waltham Abbey about a year later, attracted by its three organs and its choir; certainly, he was the organist there at the time of the Abbey's closure in 1540 as part of King Henry VIII's Dissolution of the Monasteries. For the next two years he worked as a lay clerk for Canterbury Cathedral, before joining the court as a Gentleman of the Chapel Royal — where from 1572 he was joint organist with fellow composer William Byrd. During his decades of service to the court his compositional skills earned him a considerable reputation. Tallis's career spanned the reigns of four very different monarchs (Henry VIII, Edward VI, Man,' Tudor, and Elizabeth I), and throughout the frequent religious turnarounds of the era he retained the musical skill and diplomacy to serve each. He composed mainly sacred music, initially in Latin for the Catholic Church, and later in English after the Protestant Reformation. In 1575 Tallis and William Byrd were granted an exclusive patent by Queen Elizabeth to print and market music, although this venture was not entirely successful until after Tallis's death in Greenwich in 1585. The first music they published was a collection of 34 Latin motets by himself and Byrd, entitled Cantiones sacrae (Sacred songs). 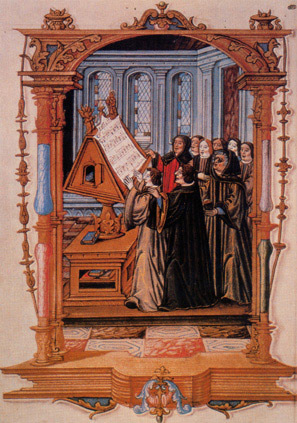 Reflecting the currents of change brought by the Reformation, Tallis in the main avoided the florid, ornate writing that was much used by his English predecessors and contemporaries; yet he was capable of brilliant technical feats. Spem in alium is an extraordinary 40-part motet using eight choirs of rive voices. Possibly written for the fortieth birthday of Elizabeth I, it would be remembered only as a curiosity were it not for the power of its message stemming from its treatment of the words, "I have never put my hope in any other but you, О God of Israel ..." Starting with two voices introducing the cry of hope, it builds up to a climax, when all the voices join together to enunciate this fervent cry.